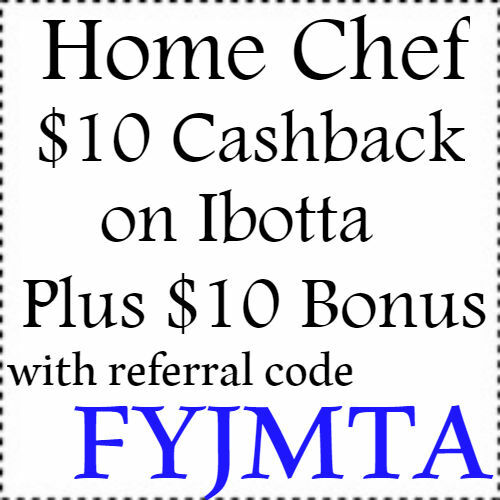 Save an extra $10 on your purchase at Home Chef today by earning cashback with the ibotta app. If you are not familiar with ibotta it is an app that gives you cash back for grocery and retail purchases. Just submit your grocery receipts to ibotta by snapping a pick. Or choose a retail store to shop at by using the app and selecting the store. Plus you can get a $10 bonus by entering code FYJMTA at sign up and submitting your first receipt. Join here!